Famous for its history, culture and exquisite natural beauty, Vietnam is a country that is attracting an increasing amount of tourists each year. 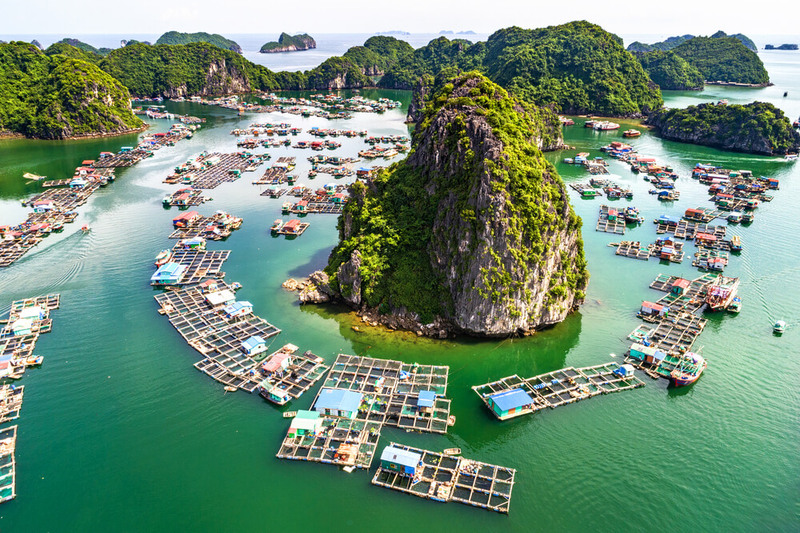 With its prime location on the eastern edge of the Indochina Peninsula, Vietnam is a country that has been growing steadily in recent years, and aims to be a developed nation by 2020. Although Vietnam has had quite a turbulent past, this has given the country a rich and fascinating heritage. Its largest cities are located at each end of the country. Hanoi, which is the capital of Vietnam, can be found in the north, while Ho Chi Minh City, which is the country’s economic capital, can be found at the south. Visitors usually start at one end, soaking up the contrasting mix of old and new that Vietnam’s cities offer, before making their way deeper into the country. From traditional pagodas and temples to lush and colorful rice terraces to some of the most stunning beaches in South East Asia, you could easily spend weeks exploring all that Vietnam has to offer. Of course, Vietnamese cuisine deserves a special mention too. Treat your taste buds to some of the traditional local dishes, whether this may be the rice paper spring rolls, fresh grilled seafood, or a bowl of classic pho. The craft beer scene in Vietnam has also been thriving lately, so save some time to tour a few of the local breweries and taprooms. Don’t forget to take some time out to pamper your skin too. The OROGOLD store in Hanoi offers up complimentary gold-infused facials, as well as other product demonstrations and expert advice, ensuring that your skin truly glows from within in all of your travel photos!